It makes complete sense that those who are seeking a job that involves the Internet in some way actually use the Internet to get their job. But some folks take it to a whole new level, like the person who used SlideRocket to get a job at SlideRocket, and the designer who made a gorgeous resume to get a job at Instagram. Even our friend Kurt Varner went all out and decided to live in his car while chasing his Silicon Valley dreams. 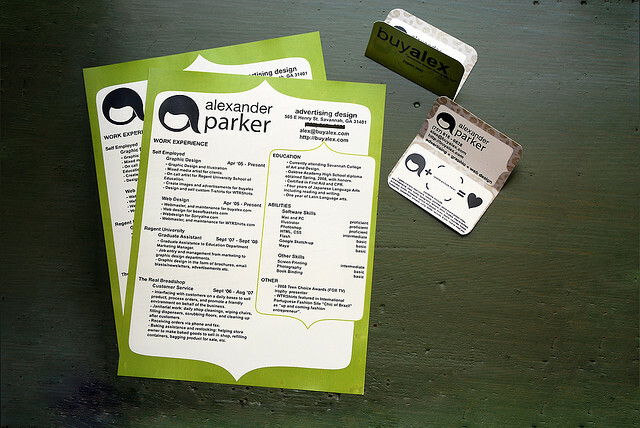 Today’s entry is probably the most brilliant online resume I’ve seen, so far that is. It seems like people are going out of their way to top the last awesome thing and I think it’s pretty inspiring. Meet Tomas Jenicek and David Barton from the Czech Republic. 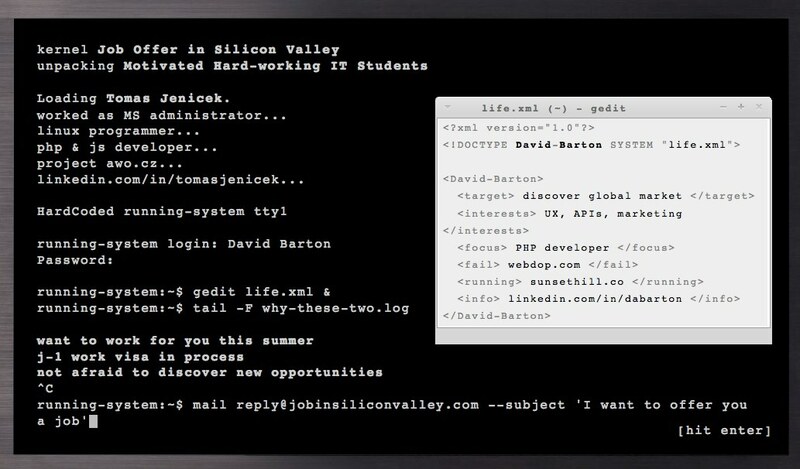 These two developers want to join the workforce in Silicon Valley and have crafted one of the coolest and geekiest interactive resumes I’ve ever seen. All of their LinkedIn information is pulled into this interactive view, and it’s something that will definitely catch the eye of companies and recruiters who are looking for people who fit their skillset. What’s next, a resume from space?